Without further ado, here are twenty-six greetings cards for use with MogHughson's Postal System. If you download these cards along with MogHughson's Postal System, then your sims will be able to send these cards to their friends, relatives and acquaintances in the neighbourhood. Sims who receive these cards will receive a small positive boost to their friendship level with the sender. 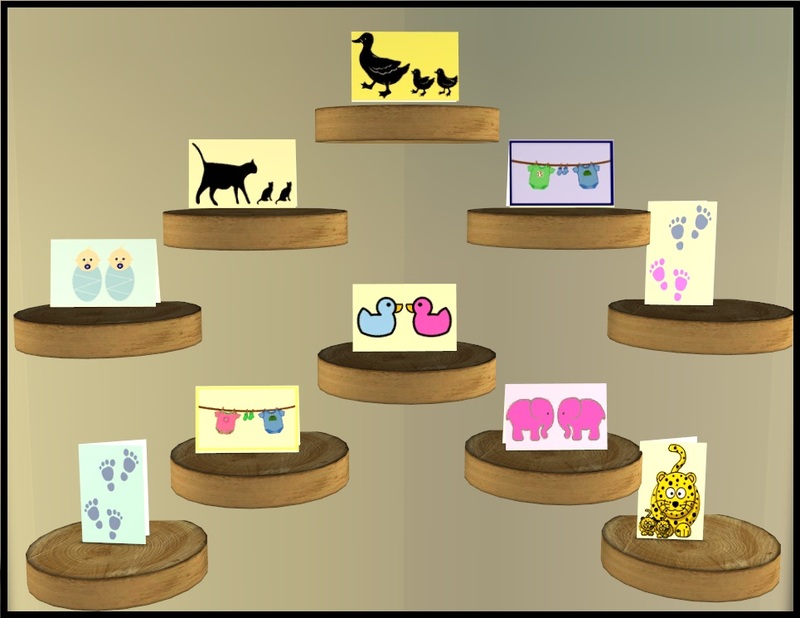 This set of cards includes four sub-types of card - cards for twin boys, cards for twin girls, gender neutral twin cards and cards for mixed gender/boy-girl twins. All of the images are free pictures from Pixabay, some of which I have edited. They all have a variation on the same basic text - "Two new babies! Congratulations on the birth of your sons/daughters/your new arrivals!" The envelopes are either blue, pink or cream/yellow, depending on the card. All of the package files are numbered according to the above pictures, so you can delete any of the cards that you don't want in your game. These are the fourth of six sets of "New Birth" cards that I plan on (eventually!) making and uploading to Mod The Sims. The six greetings cards sets will be as follows. I hope that you all enjoy using these greetings cards, and the upcoming sets, in your games. 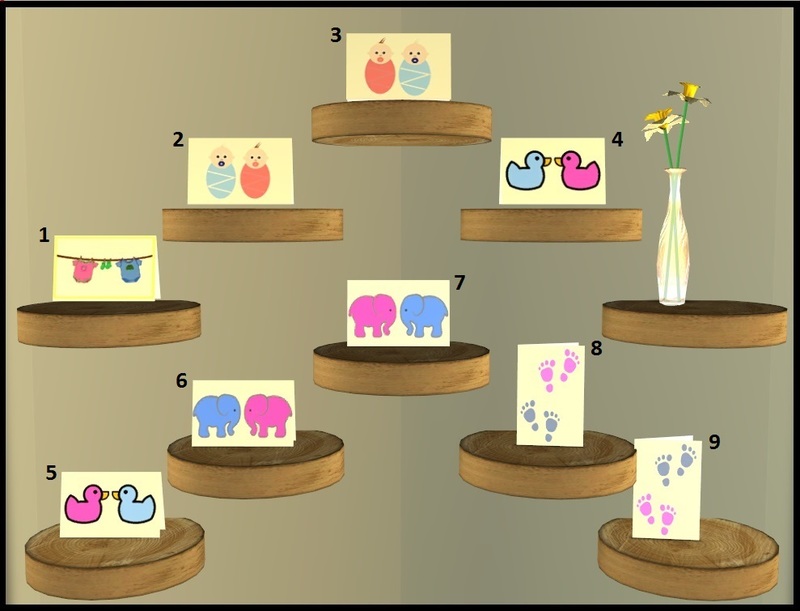 Many, many thanks to MogHughson for creating and sharing her Postal System and for providing templates and detailed instructions to allow people to create their own greetings cards! I do rather enjoy making them! 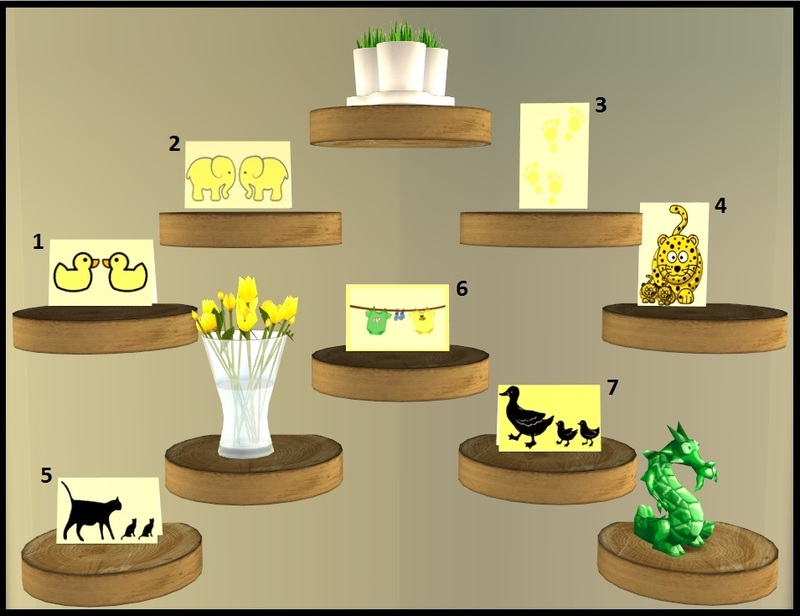 Thank you to Kate from Parsimonious - the cards are displayed on her "Winterwood Shelf". Thanks as always to the makers of SimPE. 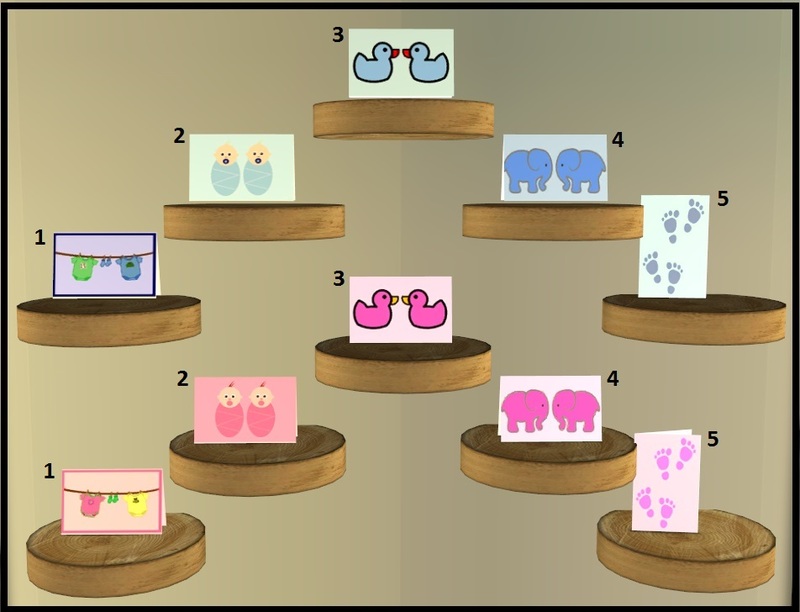 Lauratje86_NewBirthCards_Twins.rar | Description: 26 New Birth Cards For Twins. For Use With MogHughson&#039;s Postal System.